Lens Description: AF-S Teleconverter doubles the effective focal length of select compatible NIKKOR lenses, offering an affordable and portable gateway to extend telephoto reach; ideal for sports shooting, wildlife, surveillance and more. Photography Life Review Summary: Overall, if you own a fast prime lens or the Nikon 70-200mm f/2.8G VR II and need the maximum reach, the Nikon TC-20E III is definitely worth looking at. When photographing distant subjects such as wildlife and birds, the Nikon TC-20E III can be an invaluable tool that will let you enlarge your subjects without approaching and disturbing them. 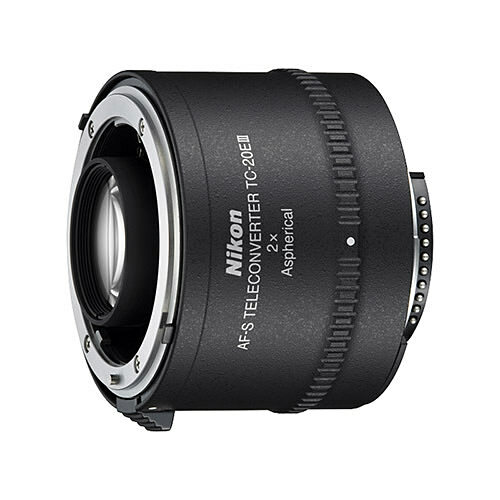 Read the full Nikon AF-S Teleconverter TC-20E III Review by Photography Life.